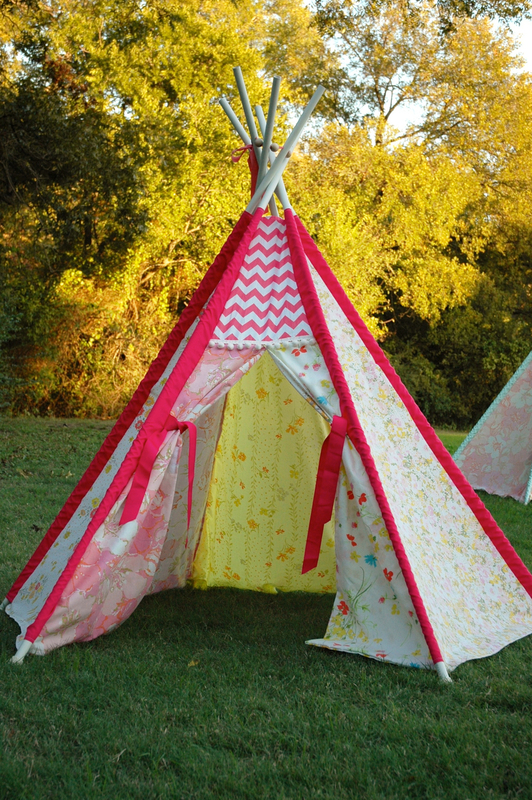 Handmade teepees are available by special order and are the perfect gift for your little one. Each tent measures approximately 5 feet in diameter and 6 feet tall, although they can be set up in a variety of ways to fit your space. The best part? There's plenty of room for an adult and a couple of kiddies to snuggle up together while you read a book, have a tea party, or hide from the "cowboys". your choice of colors, patterns, and prints for BOYS and GIRLS! completely machine washable...so take that little tent outside!